With thorough industrial knowledge, we are engaged in manufacturing and supplying of a wide range of Spray Coat Texture Paints. These paints come in different color combinations like single, double and multi-colors. 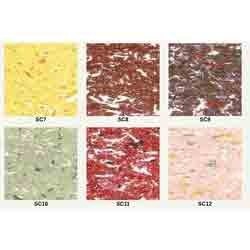 The offered texture paints are widely used to make houses different from others. Moreover, our paints provide flat coat textures. With our expertise in this domain, we are able to offer a superior quality array of Double Shade Coat Spray Texture Paints. These paints can be applied by the experienced professionals using spray guns. The offered paints can be easily applied in two forms like spray bubble or spray compact and spray one shade or spray double shade. Our paints showcase wall dressing with beautiful drop effect. We have established ourselves as a renowned manufacturer and supplier of Smooth Coat Spray Texture Paints. These are formulated using optimum quality raw material and other ingredients as per the set industry standards and norms. The offered products are widely used on exterior as well as interior surfaces of concrete, bricks, cement plaster and masonry. 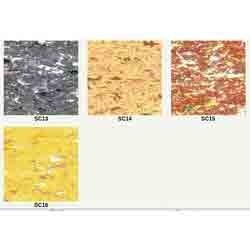 We are instrumental in offering a quality range of Spray Coat Texture Paints. These can be availed by the patrons in varied different combination of colors such as single, double and multi-colors. The offered products are very popular among all leading designers. Our paints provide everlasting texture along with a decorative finish. Moreover, the offered products also provide protection against extreme climatic variations. 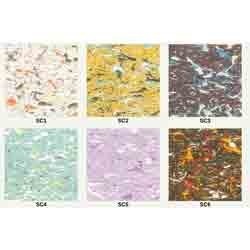 Looking for “Spray Coat Texture Paints”?